Normally, press conferences and interviews are fairly serious affairs. But on some occasions, some players use the opportunity to get up to some mischief. 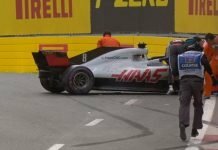 Formula 1 is no different and it not only brings out the funny side of the drivers but also shows that they are all human. Lotus F1’s Romain Grosjean had just become a father prior to the Belgian Grand Prix. 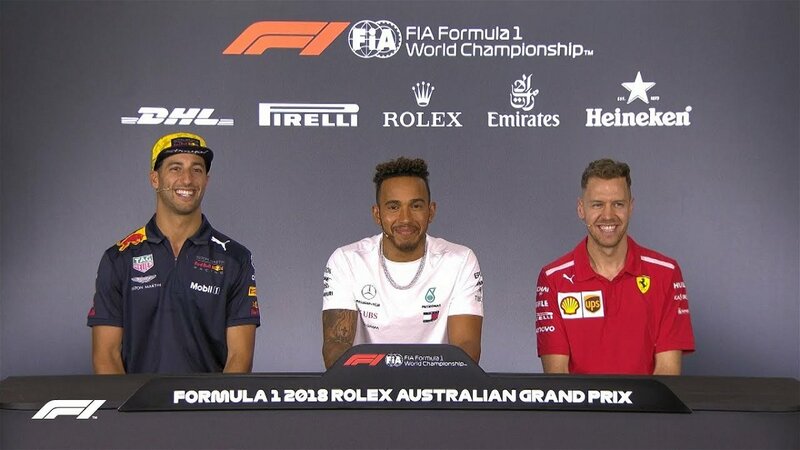 During the pre-race press conference, the Frenchman lined up alongside Jean Eric Vergne, Sebastian Vettel, Giedo Van De Garde, Charles Pic and Jules Bianchi. 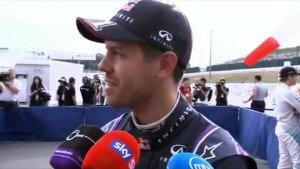 A reporter from Canal Plus asked all the Formula 1 drivers if they felt ready to be a father. 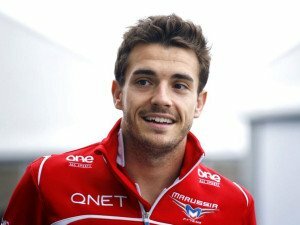 After some flustered and awkward answers from Vettel, JEV and Van De Garde, Bianchi stepped in. He said, “It’s the same, I don’t feel ready for the moment but I’m practicing”. This prompted laughter as many caught on the sneaky double entendre. After the race in Australia, The Mercedes pair of Hamilton and Rosberg dominated the proceedings. 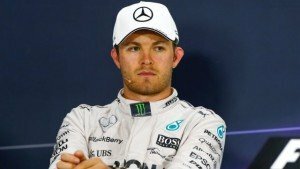 Later on, Rosberg commented on how it would be great if Ferrari closed the gap to Mercedes a little more. But only as long as they didn’t come TOO close. At this point, Vettel couldn’t help but interject, much to Hamilton’s amusement. What followed next was some back and forth banter between the 2 Germans. Alonso was in his last year at Ferrari and in the pre-race press conference. Then, a question was pitched to him about whether he would prefer to be Jenson Button’s teammate. What followed was a bout of nervous chuckling from Alonso coupled with Button staring at him intently. 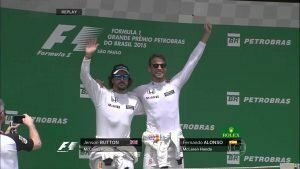 Alonso finally dodged the question with a “We’ll see” as the 2 veteran drivers gave each other a friendly pat on the back. 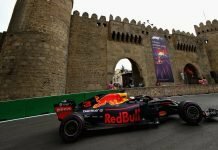 Ahead of the season opener, the biggest news was the acquisition for Formula One by Liberty Media. So, during the press conference, some of the drivers were asked to give a wishlist for Liberty Media. 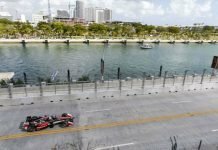 While Lewis Hamilton, Daniel Ricciardo and Sebastian Vettel chimed in with hopes of potential races in USA and Germany. 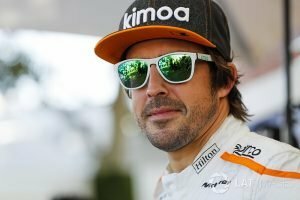 Fernando Alonso on the other hand, went in a different direction. Trying to keep a straight face, the Spaniard said “Equal engines for everyone”, a thinly veiled jab at partner Honda. This comment was rather hilarious if I do say so myself, though the outcome would turn out different than Vettel would have liked. Going a little retro with this Formula 1 addition, Michael Schumacher had snatched pole for Sunday’s race. Flanking him were Mika Hakkinen and Schumacher’s teammate Eddie Irvine. While most of the press conference ran smoothly, the mood changed when Mika and Michael spoke in their native tongues. Michael’s interview went off without a hitch, but when Hakkinen spoke, he suddenly found himself going in face first with a towel. Regaining his composure, he resumed his talk until another towel smacked him in the face. Then, he lost the cool and calm composure entirely. He immediately grabbed a jug filled with an energy drink and chased after the culprit, Eddie Irvine. Meanwhile, poor Michael was left all alone at the table while Hakkinen dumped the contents of the jug on Irvine.